Jay-Z has established himself as one of the most successful and creative hip hop artists of all time. But his remarkable rise to fame was heralded by his first album Reasonable Doubt which broke new ground for Rap, telling the bitter-sweet story of a street hustler from Brooklyn with striking, coded lyrics supported by rich Soul samples. “It was about real emotions. Our real life experiences. I don’t believe it had ever been done before in this way”, says Jay-Z. This unusual album was misunderstood by many in the industry when it was first released in 1996 and Jay-Z was initially unable to find a record label to release it. Undeterred, he created his own Roc-A-Fella Records and started on the path that now sees him not just as an outstanding Rap artist but also President of international recording and clothing companies and much more. “Reasonable Doubt is the foundation of everything I’ve done. It’s the foundation of me leaving one life to another; it’s the foundation of my career as a recording artist. It’s the foundation on which everything was built”. 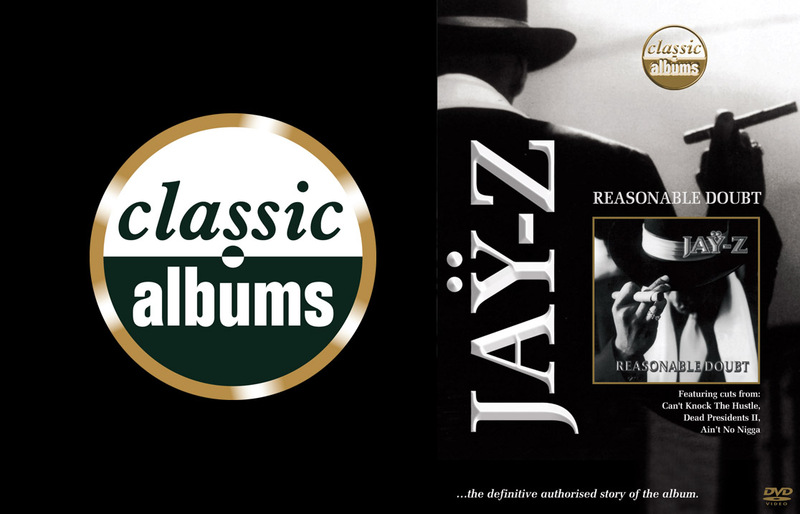 This Classic Album program uncovers the unusual story of how and why Reasonable Doubt was made, and the moral maze its story presents. Jay-Z collaborated with many major producers, like DJ Premier, Irv Gotti, Clark Kent, Knobody Sean Cane. In Ski’s words: “The Producer role was creating the backdrop, the soundtrack, to this artist’s life”. Mary J Blige, Foxy Brown, Sauce Money and Memphis Bleek describe the particular role they played in creating the vocal tracks, and how they worked with Jay-Z to give this album its unique style and content. Kanye West and movie writer Barry Michael Cooper, are among others who analyse the inner core of the album, the voices, rhythms, lyrics and conflicting emotions that make this album a Classic. While the producers show how they created their soulful samples, and while Jay-Z and the vocalists describe the inspiration for their lyrics, the program uses rare performance footage, home movies of Jay-Z in clubs like The Tunnel and The Palladium, in 1996, and later, bigger shows to feature extracts from ‘’Can’t Knock The Hustle’, ‘Ain’t No N..’, ‘Brooklyn’s Finest’, ‘Dead Presidents II’, ‘D’Evils’, ‘Can I Live’, ‘Regrets’ .. and others.